Hi! 🙂 Once you have installed the SSL certificates on apache, you can proceed to force HTTPS on your domain. Here are the steps in brief to force https using .htaccess file. Open the terminal and goto –> the root folder of web site. Then a blank .htaccess file will be opened. You can check the existence of the file by pressing (Ctrl+H). Put the following lines on the file. Now you try typing your web site address even with http:// and it will redirected to https:// automatically. Hi ! 🙂 This is the second part of SSL guide. After obtaining the keys you can followed up to installing the keys on apache and do the changes in the virtual hosts and test your web site with https. You will need to edit the ‘default-ssl’ configuration file which resides in etc/apache2/sites-avaiable directory. Change the ServerAdmin your_email, ServerName: domain_name or common_name, DocumentRoot: path to the web site content. You can use following commands interchangeably while enabling the proper configuration on your server. Now click on the padlock icon and go to “view certificate”. You will the data that you entered when creating the CSR request there. *Note: Sometimes you may see partially encrypted pages with https:// . The reason is the page may content images or other content with http. The disadvantage comes with a self-signed certificate is that, when you try to browse your page with https it will display a message on the browser saying “This connection is Untrusted”, since browser only trust a list of CAs that are already stored in. I will briefly state here the steps to create a self-signed certificate for your website. 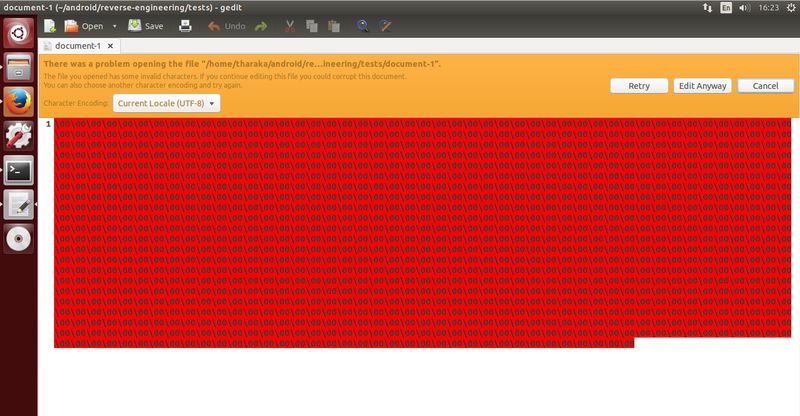 I am working with Apache server on Ubuntu. Each time you do a change in configurations , restart the apache server to apply the changes. You will have to give a password in this step and that password should be remembered to use in next steps. In creating CSR process, you will be asked for several question. The important information here is the Common Name (N) which you should give the ‘domain name’ of your web site. If you are purchasing a Certificate from a CA, this csr request should be sent to the 3rd partY CA. Since i am doing local development common name (CN) will be “localhost”. Removing the pass-phrase of server key, so that you won’t need to enter it every time the apache server restart. The server key will not contain the pass-phrase anymore with this command. Hi ! 🙂 “Apktool” is another reverse engineering tool specifically designed to decode, edit, analyse and rebuild android apk files. Here I will state the steps to installing Apktool version 2.0 on ubuntu 14.0. With the migration of Apktool to its version 2.0, some settings have reduced. According to the documentation of “Apktool” now it doesn’t required to add aapt separately, since it is included in the the apktool itself. The default framework included in the Apktool is enough to decode most apk files except the manufacture apks, since they require additional framework-res specific for the manufacture. Download apktool.jar and apktool wrapper script for Linux environment from their official web site -> http://ibotpeaches.github.io/Apktool/install/ . Change the owner of the files to your username of home directory. This is required to allow access to the files. Now you can run apktool commands from any directory. Open a new terminal and execute apktool, you can see the help menu. Confirms the installation. Now the environment is ready. So let’s try decompiling and rebuilding an random apk. 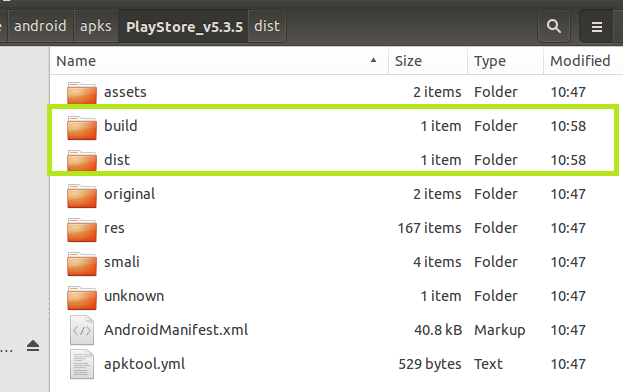 The playstore apk is decompiled in to a new folder in the same directory. The decompiled files include all the source files and resource files. The resource files are suffixed with .smali. When you rebuild the resulted decompiled source files, two new folders will be created at the same location. Before start decompiling any apk, find the available framework-res for the decompile to be properly happend. If your device is rooted, then you can pull out the available framework-res files. Check for the available res files with following command. Pull out any available framework res files. When your are trying to disassemble manufacture apks for instance Settings.apk, Contacts.apk, Maps.apk etc. you need to have proper framework resource. If that is not then you won’t be able to do the decoding properly. The valid range of framework resource file ids range from (1 – 9. If you get something like 127.apk that is an inner package id. Here I will be helping you to get familiar with the basic ‘radare2’ commands with simple examples. I am working on a LinuxVM with Ubuntu 14.0. Executing the install.sh file at sys folder. 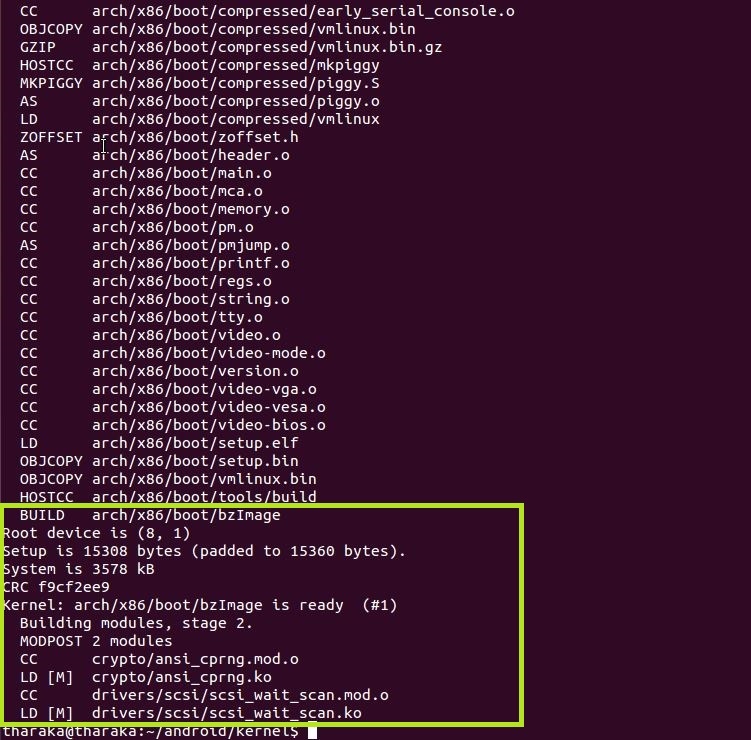 Open the terminal at “android/reverse-engineering/radare2-0.9.8/sys” folder and execute the following command. Now “radare2” is installed on your Ubuntu environment and can proceed with getting familiar with the commands. Radare2 has a set of simple commands so it will be easy to handle with them. Creating a new document and start editing the doc. To create a document with name “document-1”, execute the following command. Re-sizing the file given the size in bytes. To re-size the file to 1024 bytes, execute the following command. When you open the document in gedit, the allocated space is highlighted in red. To write a string to the document at the current address, just pass the string with the command ‘w’. To write a string to a given address, pass the new location address join with a ‘@ ‘ . – To seek into another address, give the location address with the command ‘s’. – To disassemble code with a given no of opcodes. – To copy the content to the clipboard use yank commands given the no of bytes to be copied. – To print the content that copied to the clipboard . – To paste the content at to the clipboard at a given address. Use the ‘px’ command to see the changes at file. Now lets see how it looks like when an android classes.dex file is open with ‘radare2’ for analyzing. 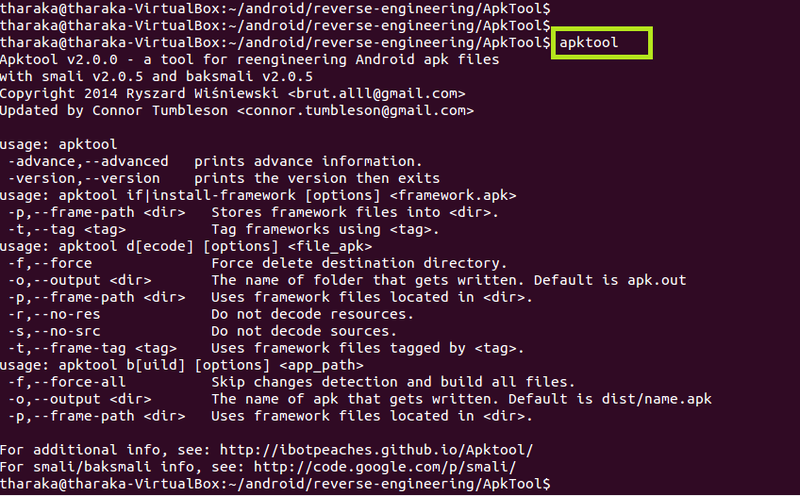 In the context of reverse engineering you will get an android ‘apk’ file fore analyzing. So first you need to extract the apk file. The extracted apk will contain following fles. Hi 🙂 I expect that you have followed the “How to Build Android Kernel from source (Part 1)” in which I explained getting android kernel source and start building the source. Here I will be explaining how to overcome the errors and make a successful build. 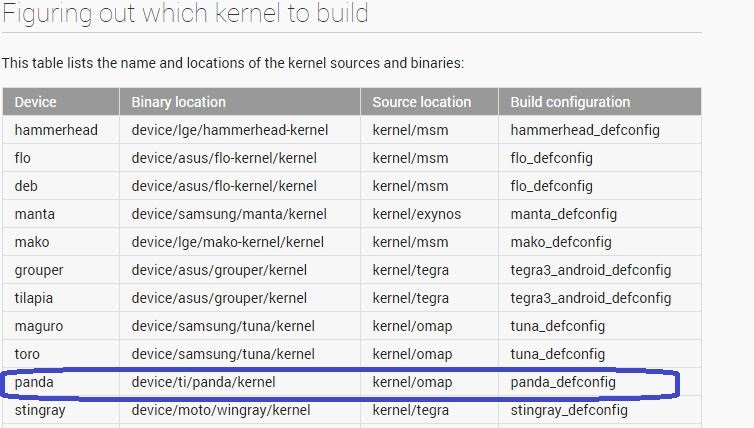 I was building the kernel source of “omap” project which uses panda_defconfig. Following is the output, which we expect at the end of a successful completion of building source of the kernel. In the process of compiling we get many errors and we will have to fix them to continue process. In this section I have suggested some fixes for the errors. After each fix you will have to enter the command “make” to continue the compilation. 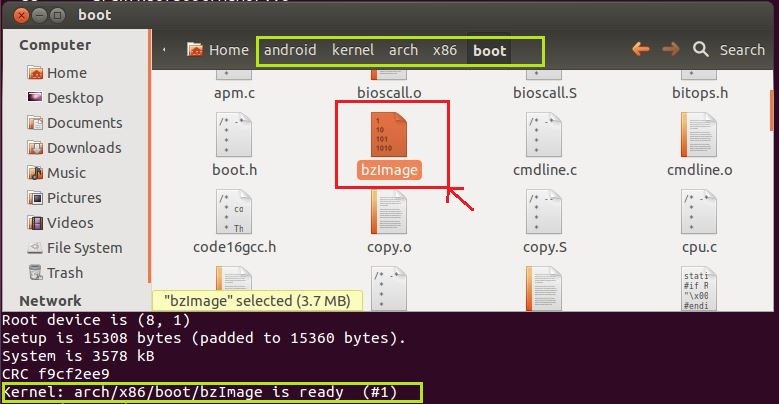 At the end of the successful building, it will generate the “bzImage“. It is the built “kernel” from the procedure. I have installed Ubuntu on Oracle VM VirtualBox. 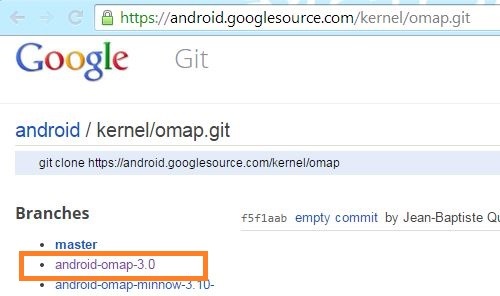 I am using the kernel source of “omap” project. According to the android official web page the project is used for PandaBoard and Galaxy Nexus, and can be used as a starting point for work on TI OMAP chipsets. Open a new Terminal and enter following command. 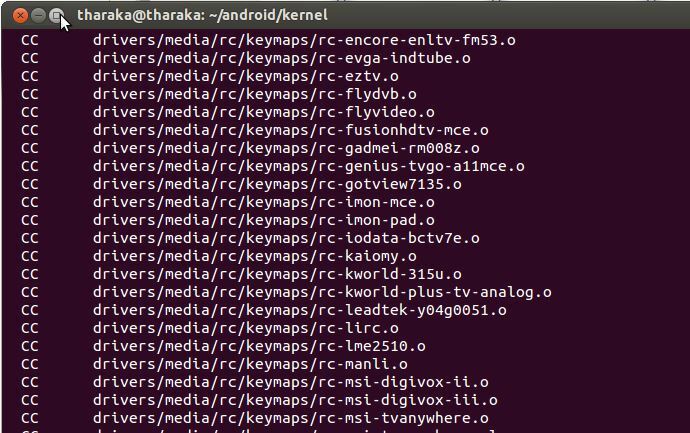 Once you extracted the source: Goto ->android–>kernel–>arch–>arm–>configs folder. You can find the panda_defconfig file there. You can get prebuilt toolchain from the same Google repository. 2. Download the master branch and extract the source in to a new folder call toolchain, following the same steps as above. Kernels are compiled with a program called gcc. The gcc comes with toolchain is an optimized version of gcc. Therefore here we do a cross-compile. While compiling it gives messages and warnings. We can ignore warnings but when there are errors compilation stops and terminate and we will have to fix the issuses.